Maximum 401k Contribution Per Year - Tips For Saving! Maximum 401k Contribution Per Year – Tips For Saving! Maximum 401 contribution per year is a variable amount that is determined annually by the Internal Revenue Service but can additionally be limited by a 401K sponsor (employer) and/or specific retirement plan policies. 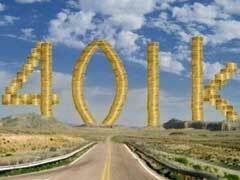 In 2010, IRS established a maximum of $16,500 of 401K contribution limits per year for an individual. In addition, your employer can further limit your maximum 401K contribution per year to a specified percent, for example, 15% or 25% of your gross pay. You can request a copy of your company’s Plan Summary Description for all your plan specific rules and limits that will allow you to plan your future retirement cash flow. At times, employers in preparation for year-end 401K compliance testing may impose administrative limits to even further limit the maximum 401k contribution per year. These limits are normally imposed on the highly compensated employees in order to help pass certain compliance tests required by the IRS. On the flip side, the IRS will allow your company’s 401K plan to adopt a catch-up provision, for those employees age 50 or over. This provision allows you to increase your maximum 401k contribution per year by $5,500. To qualify for catch-up contributions you need to turn 50 during the plan year. This provision will allow individuals who are 50 or older to contribute more compared to their younger piers in addition to any limits imposed either by the IRS, plan document, or employer. Ultimately, your maximum 401k contribution per year will be limited by your household’s current income and can not exceed the established by the IRS limits. In order to maximize your retirement cash flow, many savvy investors opt to establish brokerage accounts on top of making maximum 401k contribution per year. Best municipal bonds issued by government agencies like states or cities could become a great long term low risk investment that can further improve infrastructures of your own state or city. Investing in green mutual funds as part of your retirement planning will not only help increase your retirement cash flow but help fund many ecology worthy projects.